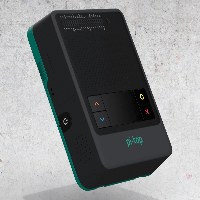 Today pi-top, the creative learning company, announce the launch of a new flagship tech product, the pi-top . This modular, go anywhere computer allows anyone to programme and make just about anything. Attach it to a drone or balloon for a bird’s eye view, connect moisture sensors to record environmental changes, control everything from robotic vehicles to stage lights, or wear it to measure movement. The possible applications are endless!